Legal guardianship is one way for a non-parent to acquire physical custody and legal custody over a child or children. Oftentimes, the person petitioning (requesting) legal guardianship is a relative to the child such as a grandparent, aunt, uncle, sibling, etc. However, even someone who is not related to a child can be granted legal guardianship over that child. Legal guardianships can be issued when the parents have died or are in jail or prison, when the parents are struggling with addiction or other issues which affect their ability to care for their child, or many other situations in which the parents are unable to provide for and protect their child. Once granted a guardianship, a legal guardian has the legal authority to maintain the child in the home, enroll the children in school and access school records, cover the children under the guardian’s insurance and arrange for medical care and dental care for the children (e.g., take them to doctors, dentists, etc. ), and ensure that neither parent can take the children away from the guardian. Parents will typically receive visitation with the children after the guardianship is ordered, but the guardianship is presumed to last until the child is 18 years old. The process to obtain a legal guardianship can take many months (even in excess of a year if there is opposition from the parents). However, an individual can request temporary guardianship if there is an emergency and an immediate need for custody. Please note that legal guardianship refers to the process of a non-parent obtaining custody over a person 17 years of age or younger. Conservatorship is the process of an individual obtaining the ability to act on another adult’s behalf (when both individuals are over the age of 18). Substantively, the petitioning guardian must show the necessity of the guardianship in order to have the Court grant the request. For these reasons, you should trust your guardianship petition to attorneys who know what it takes to get the guardianship granted. Feel free to call our San Diego guardianship attorneys now, and remember that we foremost want to help people so all initial consultations are free in order for you to determine whether our firm is right for you. When a request for guardianship is opposed by a parent or other interested person, you’ll want an attorney on your side. Guardianship trials are just like any other – there are strict rules for getting evidence in front of the judge, and people without lawyers are held to the same standard as an attorney would be. In other words, there is no special treatment for non-lawyers in a trial, and you’ll only get one chance to make your request properly. For these reasons, you should consider attorneys who are comfortable standing before judges, battling for our clients’ rights, and proving that a child’s best interest requires that the guardianship be issued. There are many potential issues in guardianship cases which can trip up non-lawyers and even attorneys without enough experience in this field. Problems such as mistakes in the paperwork, opposition from a parent or parents to the issuance of the guardianship, inability to find and/or properly notice the parents and relatives, the Indian Child Welfare Act (“ICWA”), the Uniform Child Custody Jurisdiction and Enforcement Act (UCCJEA), the Hague Convention on Service of Process, the involvement of Child Protective Services / Child Welfare Services (“CPS” or “CWS”) or anything else can lead to the denial of your petition. Whether you are trying to avoid these problems at the beginning or trying to deal with them after they have arisen, a knowledgeable attorney such as the custody attorneys at Tot Law in San Diego can navigate around or through such issues in order to give you your best possible chance at success. 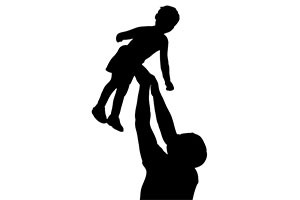 If CPS (or CWS as the agency is known here in San Diego) removes a child from the parents’ custody and initiates a case in Juvenile Court, a probate guardianship is typically no longer possible although other solutions – many of which can be found on this page – may remain. However, a guardianship may be possible (and extremely helpful) for a child who is the subject of an active CPS investigation. In fact, our guardianship attorneys have helped many people obtain legal guardianship while a parent is being investigated by CPS. This accomplishes the goals of protecting the child by ensuring his or her safety and maintaining the child with relatives of trusted friends rather than the child being placed in foster care or a receiving facility like the Polinsky Center, and can also halt the CPS investigations due to the child’s appropriate living situation. If you or someone you know is being investigated by CPS, you need an attorney specializing in guardianships on your side who can protect you and ensure that your child’s best interests are served. If there is already a Family Court case addressing the child’s custody, then joining that case (“joinder”) may be the appropriate step rather than filing for a guardianship. Here at Tot Law, we specialize in all manners of custody cases, and can provide proper direction and advice to ensure that you are proceeding correctly and on a path towards your ultimate goal. If you are a parent and your child are in guardianship proceedings, you need to think very carefully (and very quickly) about whether you want to voluntarily give up custody of your child and/or allow the guardianship to be granted without fighting for your child. There are circumstances in which it might be the appropriate decision to do so, but there are also situations in which you will be making it very difficult to get your child back in your care ever again. Legal Guardianships are presumed to last until the child is 18 years old, and the law values stability and consistency over moving a child from one home to another so attempts to terminate existing guardianships are often much more difficult than an attempt to have the Court deny the initial guardianship request. For parents who do not trust the potential guardian to favor returning the child to parents at the appropriate time, it is imperative that you speak with an attorney experienced in opposing guardianship requests and consider all of your options. If you don’t, you may never care for your child or receive anything more than minimal visitation with him or her ever again. The San Diego guardianship attorneys at Tot Law fight these battles very often, and we have been very successful in having courts deny guardianship requests and return custody to parents (even in circumstances which made this outcome very unlikely). Here, our knowledge in succeeding at guardianships is crucial… In knowing what a potential guardian needs to do in order to be granted a guardianship, we also know how to show that he or she is not suitable for such a role and that the child would benefit from being returned to the parent’s care.